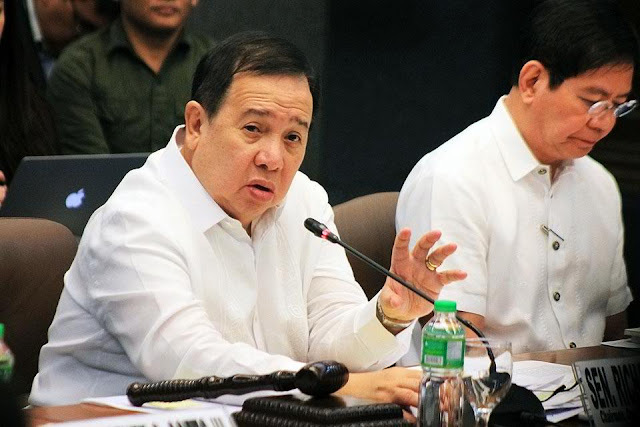 MANILA, Philippines — Sen. Richard Gordon on Sunday said he would meet with President Rodrigo Duterte to explain the importance of the Motorcycle Crime Prevention Act, which the President, just a day before, said he would suspend. Gordon said the law, of which he was principal author and sponsor, would give justice to those who were killed by assassins riding in tandem on motorcycles. On Saturday, in his speech at the National Federation of the Motorcycle Clubs of the Philippines’ annual convention in Iloilo City, the President said that he would suspend the implementation of the law, citing that would be “dangerous to place another gadget” in front of a motorcycle as it could pierce through the rider’s helmet. Under the new law, license plates must be displayed in front and at the back of the motorcycle and must be readable from a distance of 15 meters. The license plates will also be color coded. Citing data from the Philippine National Police (PNP), Gordon said that riding-in-tandem shooters had killed an average of four people each day. The new law, Ejercito said, would have to be explained well to its stakeholders. “For me, it’s more like an imprimatur for the conduct of a thorough study and discussion among stakeholders to fully understand the law, especially the source of complaint and confusion, with the end view of coming up with a common formula to assure the safety of riders while the law’s anti-criminality objective is being achieved,” he said.